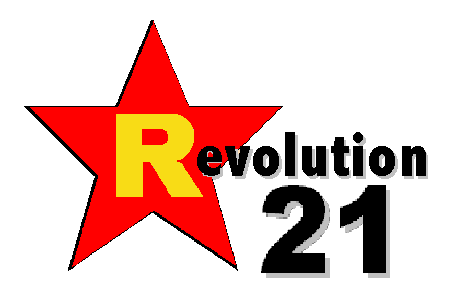 Click on the poster, print and distribute widely. 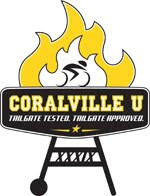 Help Coralville bring this criminal to justice! There's a criminal afoot in the great state of Iowa. This brigand preys on innocent bicyclists who wander onto the road less traveled, plying the pedalists with potentially poisonous potions and betting that the bootleg hooch will bring in a backdoor bounty of contraband cash. 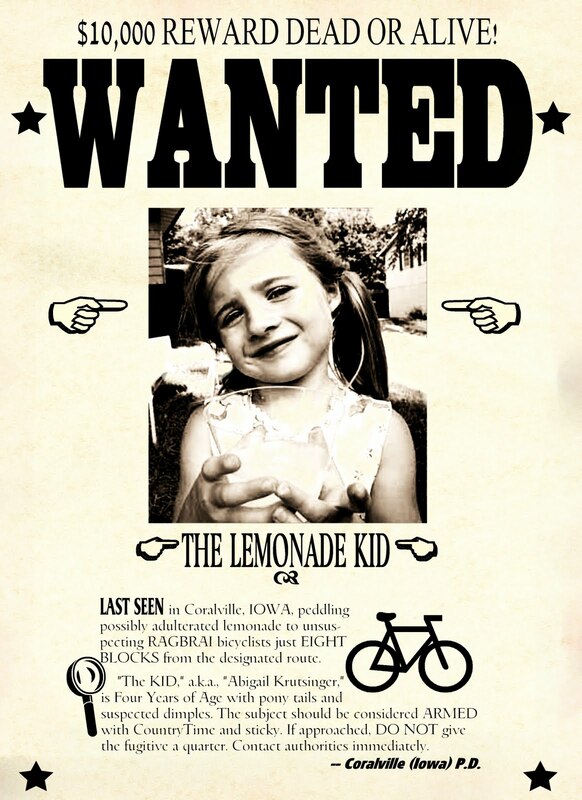 In Coralville, Iowa, the official vendors for the RAGBRAI rendezvous couldn't catch a break for all the illicit dealings of fly-by-night criminals such as Abigail Krutsinger. It was well past time to call on the long arm of the law to safeguard the spirit of Adam Smith, the free flow of commerce and the American Way. The threat was grave. The rule of law was in tatters. In the joint, they just call her "Dimples." Krutsinger said his daughter was selling lemonade for 25 cents a glass, and had made less than $5. According to the city of Coralville, 4-year-old Abigail Krutsinger was in violation of a two-day ordinance that required all vendors to have permits when RAGBRAI rolled into town. Josh Schamberger, president of the Iowa City/Coralville Convention and Visitors Bureau, said the ordinance was passed to protect riders from possible health risks. Similar ordinances have been adopted in other host towns for years, he said. Now Schamberger said he fears that the work of 500 volunteers may be forgotten, and lemonade stand shutdowns will be remembered. FEAR? FEAR? He'd better pray the lemonade-stand shutdowns are remembered. After all, you know what they say: Kill one, teach a hundred. Besides, they need to learn young.